H-E-B President Scott McClelland said there was a lot of pressure on him to get the new 92,000-s.f. store at 2300 Shepherd Drive in Houston’s The Heights just right. The store had its challenges. 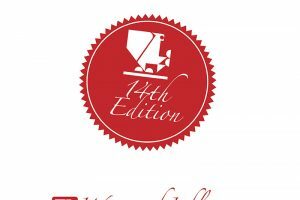 The first was an alcohol ordinance from back in 1904—one year before H-E-B was founded—prohibiting grocers from selling beer and wine. 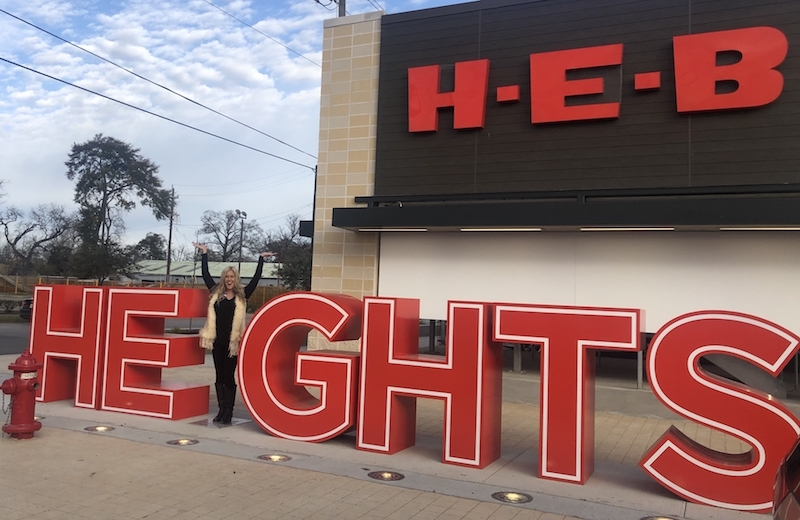 H-E-B backed a campaign to encourage voters in The Heights area to vote yes on Proposition 1, an ordinance that would allow the sale of alcoholic beverages for off-premise consumption. They came through and then some. The Heights community is populated with many young professionals and artists. The store’s décor reflects that spirit and a sense of the community. 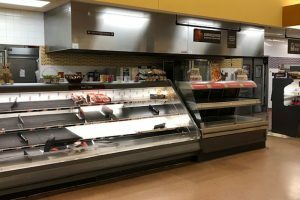 One installation in the new H-E-B consists of 13 chickens decked out in knitted sweaters. They float above the escalator in the multi-level store. In the 1920s and ’30s, H-E-B ran a promotion giving customers who caught a chicken either a penny or a mink stole. “If you were so lucky,” McClelland said. Outside the store, there are big red letters: HE GHTS. The missing “I” is deliberate. People stand in the spot where it should be to complete the spelling. 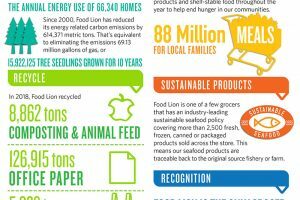 It is an effort to encourage locals to think of it as their store. McClelland did not contain his pride. H-E-B’s own architects designed the new store. More than 400 partners (employees) make the store run. 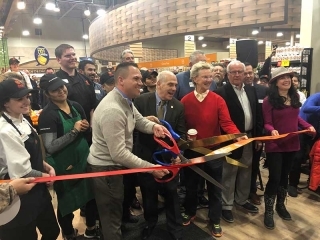 Every partner but one transferred to the new store from the former “old, little pantry,” which was the oldest store the company operated. That personal ownership builds loyalty to H-E-B. 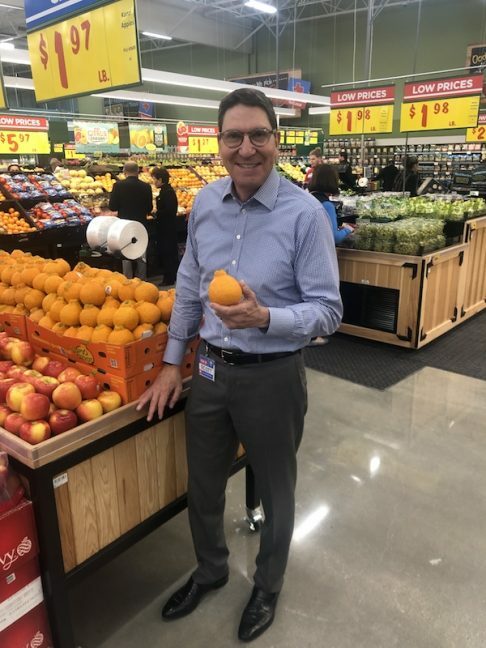 Winell Herron, group VP of public affairs, diversity and environmental affairs, said the store, which is the grocer’s second multi-level store in Houston, represents “the best that H-E-B has to offer. Construction of the store began in October 2017. The doors opened Jan. 30.